A couple of days ago I wrote about how Aer Lingus plans on rebranding for the first time in nearly 25 years. At the time there was a leaked picture of the new livery. We’ve added a shamrock to the door of the aircraft to give our guests a warm Irish welcome as they board. The font in our new logo is bold and modern with a nod to our Irish heritage in the Celtic ‘g’. A shamrock now accompanies the logo on the side of the aircraft to add colour and strength, and to reinforce our identity. The engine is painted our new teal colour to bring colour to the aircraft. We’ve kept our Instagram-worthy shamrock on the wingtip – visible only from inside the aircraft. Our new colour palette consists of two contrasting shades of green. The rich teal represents strength and confidence. The light green stripe modernises the design and reflects our value carrier proposition. The contrasting teal and light green of the shamrock combines our strength, confidence and modernity. The shamrock sits proudly as the hero of our livery, with a new tilt to add movement and heart-shaped leaves to reflect our warmth. My take is that the new livery is fine. It’s nice enough, but of course not nearly as iconic as the old Aer Lingus livery. I can’t help but feel like so many airlines are choosing similar liveries nowadays. It seems like Aer Lingus largely copied Iberia, LEVEL, and Qantas here, no (not in terms of colors, obviously, but in terms of design)? The first plane with the new livery will be flying immediately, and the airline hopes to repaint their entire flight by 2021. On top of that, the new branding will appear on the website and app as of today. Furthermore, Dublin Airport Terminal 2 should feature the updated branding today, while outstations will feature the updated branding within a week. We can’t wait to reveal our brand new uniform later this year. It’s been 20 years since we introduced a new style and we’ve got renowned Irish designer Louise Kennedy on board once again as our designer. Other than that, there’s not really much news. 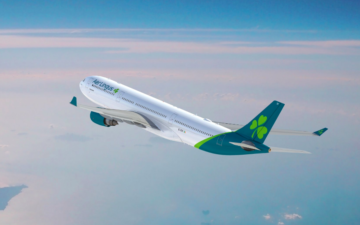 Aer Lingus also stressed that they’ll take delivery of A321LR aircraft this summer, and that they’ll partly use these to reintroduce business class on select flights within Europe. The only new news (at least news that I wasn’t aware of) is that Aer Lingus will be opening their own lounge in Boston this year. Many years ago the airline did have their own lounge in Boston, so I guess you could say this is a reintroduction. 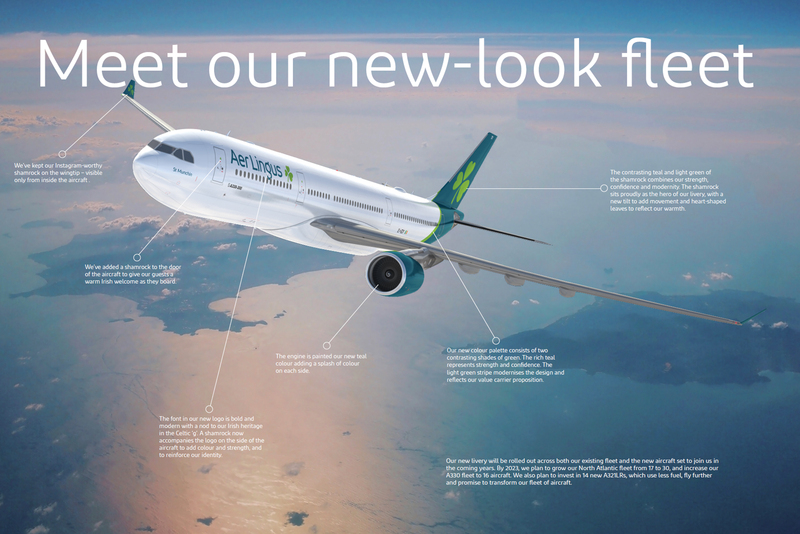 What do you make of Aer Lingus’ brand refresh? She's baaaa-aaaack... Azealia Banks, a 27 year old rapper from New York, is no stranger to controversy when flying. Many of you may not know who she is, but may recognise this track, which is probably her most well known. it’s fine, but I liked the old greener one better. 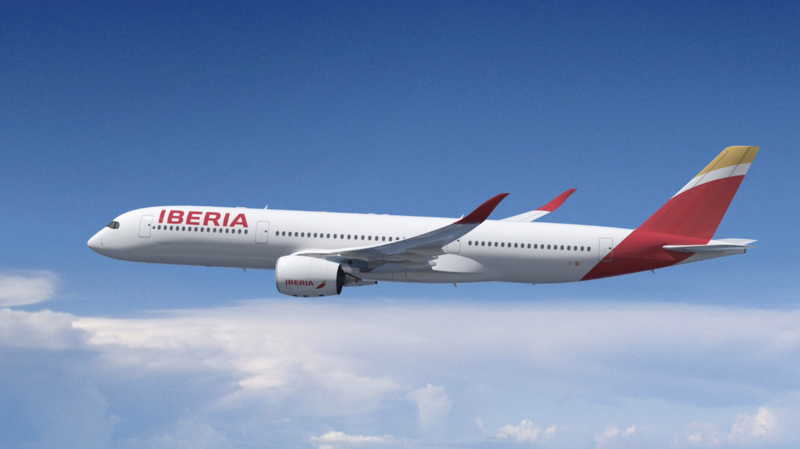 Do you think the Level, Iberia and now Are Lingus similarities are an IAG plan for consistency, and to make repainting easier if they ever swap aircraft from brand to brand? LH new livery essentially the same design on the tail with their logo too. I missed the lounge news in Boston. Thats good news for me as a JetBlue commuter, if I ever have an afternoon flight back to LGA, that lounge is closed to Priority Pass when the Aer Lingus flight takes it over. The Aer Lingus lounge at JFK is pretty good, so I’d expect good things for them in Boston. I like it. Full or half painted bodies belong to the past. That pastel strong color is all but classy and this rebranding (like many others) clean up the livery. For me its simple and nice. But will one really see this as one boards the plane? The door is usually out of the way, yes? And UTA did fly from France to the South Pacific. Paint adds a lot of weight to the aircraft so I’m not surprised they decided against a full body paint job. Aer Lingus didn’t need a new livery. Some airlines do. Years ago, I flew US Air but thought the livery was ugly. In contrast, I liked Northwest. The reality is I felt happier flying Northwest. Weird, I know. ^^ UTA French Airlines had one of the best liveries in the 1980’s. I love it. I wanted to fly them. United’s pre-battleship gray was also nice. In modern days, I like ANA, old Lufthansa, Qantas. British Airways, Air France, Virgin Atlantic, and Swiss. Some are not bad, like Singapore, Alaska, LAN, soon to be old/current Aer Lingus, Hawaiian, Cathay Pacific. The Aer Lingus marketing folks are obviously out of ideas. It’s like watching Hollywood constantly recycling old movies into remakes because, well, they need to be doing SOMETHING to justify their jobs. Yeah, super impressive. I guess they’ll get their big raise now. Pretty much all cost driven which is why so many airlines opt for the same design. White is cheaper to paint and lighter to fly and it makes the plane easier to sell when done. I’m not sure how a light green colour reflects value carrier propositions. The white section is still painted with two coats, the whole airframe is painted. White paint is not lighter, but it does resist UV fading better meaning a longer time between repaints or touch-ups. It’s likely that with this new livery EI expect repainting only to occur during a d-check when the airframe is stripped. They were possibly touching-up the old faded green much more frequently in the past hence the move to eurowhite. Just saw the new livery on the plane heading into JFK. its simple really modern and cool looking! I was on EI105 today from Dublin to JFK which was the first flight of any plane with the new livery. They made a little fanfare of it and when we landed they held the plane on the ramp before reaching the gate and a small crowd of journalists and staff took photos of the plane. It was pretty neat as you could see ground staff coming out on the jetways and a lot of people in the windows of Terminal 5 taking pictures and enjoying seeing it in person for the first time. That said, from the inside of the plane there wasn’t much new to notice… I have a few pics which are fun.